Generations Healthcare Network is proud to have three facilities that specialize in cardiac care. This week is National Cardiac Rehabilitation Week. It was initiated by the American Association of Cardiovascular and Pulmonary Rehabilitation (AACVPR) to focus national attention on cardiac rehabilitation’s contribution to the improvement of the health and physical performance of individuals at risk for heart disease and/or those individuals diagnosed with heart disease or dysfunction. Our facility Generations at Oakton Pavillion in Des Plaines has a Cardiopulmonary Rehabilitation Program led by an excellent team of professionals including Dr. C. Dean Katsamakis. Dr. Katsamakis is board certified in Internal Medicine, Cardiology, and Interventional Cardiology with advanced training in Diagnostic Cardiovascular Imaging and is Board Certified by the Certifying Board of Nuclear Cardiology (CBNC). Additionally, he is trained to deal with all aspects of Interventional Cardiology including angioplasty and stenting of the heart, legs, and carotid arteries. The program is specifically designed for individuals with cardiac conditions to successfully transition home while focusing on Acute or Chronic Heart Failure, Coronary Artery Disease, Vascular Heart Disease, Heart Rhythm Disorders, and Congenital Heart Defects. Our Niles facility- Generations at Regency’s Cardiac Rehabilitation program is designed to provide monitored exercise and education after a heart event. Their goal is to stabilize and slow or even reverse the progression of cardiovascular disease. 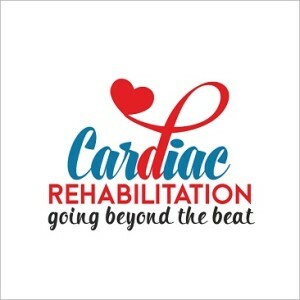 Their cardiac rehabilitation is modeled with a specific interest to promote a healthy lifestyle through education, exercise, therapy, and tools to live with a healthy heart and a healthy mind resulting in a healthy life. The program is led by an excellent team of professionals including Dr Jason Robin. For the last 6 years he has been with NorthShore University HealthSystems, on staff at NorthShore Evanston as well as Glenbrook Hospitals. Dr. Robin has received recognition as the NorthShore University Specialist of the year (2011) and voted as one of America’s Top Cardiologists 2012-14. Our Elmwood Park facility- Generations at Elmwood Park’s Cardiac rehab program is led by Dr. Mohammed Siddiqui- a NorthShore University physician. The program helps our patients to get back on their feet and focus on managing various health issues, proper exercise techniques, healthy diet options and more. Generations Healthcare Network is committed to providing quality healthcare in warm, inviting and safe environments in our facilities. GHN is our family serving your family for generations to come.